2. Select the site in which the programs/services will be provided. 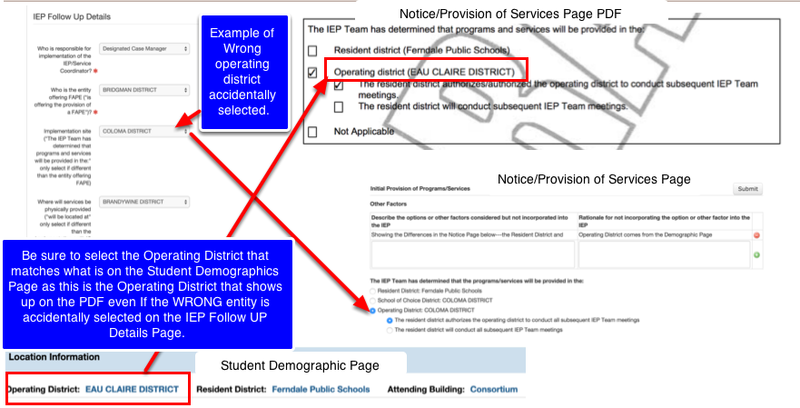 Note: The Resident, School of Choice & Operating Districts pull from the STUDENT Demographics PAGE not the Follow Up Details Page. IF you do not see the correct district below speak with the appropriate person at your district. For more information on how to publish an Eligible IEP see the, "Publish an Eligible IEP" lesson in this manual.